So what is a Candid, Posed Portrait? 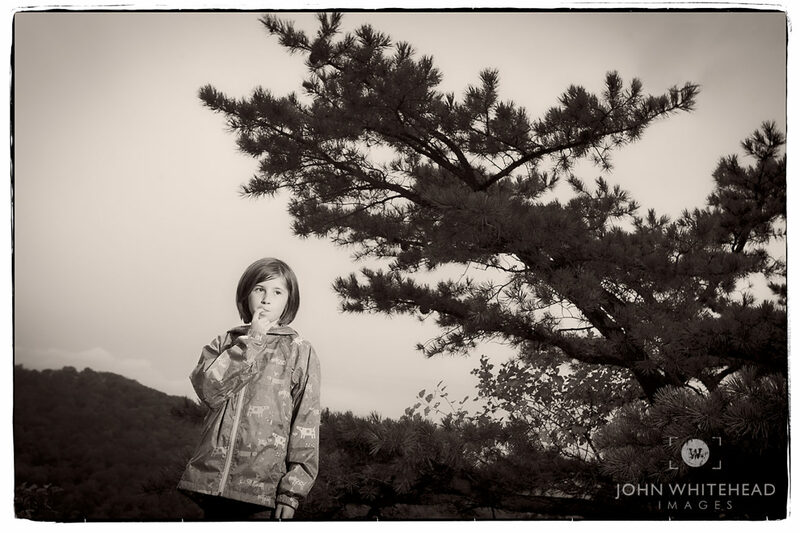 I was taking lit portraits(off camera fill flash) of my daughter on top of a mountain. We used to go hiking every Columbus Day. I must have done something and when I looked back at my daughter was deep in thought. These are difficult moments to get. It is really hard for people to fake. Sometimes you just get lucky. The key to the image was the clean background and the lighting was already set up. I had one shot to get it right. One aspect of my photograph you will notice are backgrounds. I stress from day one in my beginning photography classes how important clean background are. Photographers use composition lighting, balance movement to achieve dynamic images. The biggest difference between a novice and good pro is backgrounds. I see so many images ruined by horrible backgrounds. In 2018 my only portrait discount will be an Early Bird Discount. Anyone who orders prints within two weeks of their gallery going live will get 15% off their total. Check out my kid’s gallery, my senior portrait gallery, or portrait gallery. For more infomationon portraits visit these links.